How Far is Kotibhaskar Mugdhali Apartment? Silence that offers you the space to hear the heartfelt laughs & meaningful words of those who belongs to you. 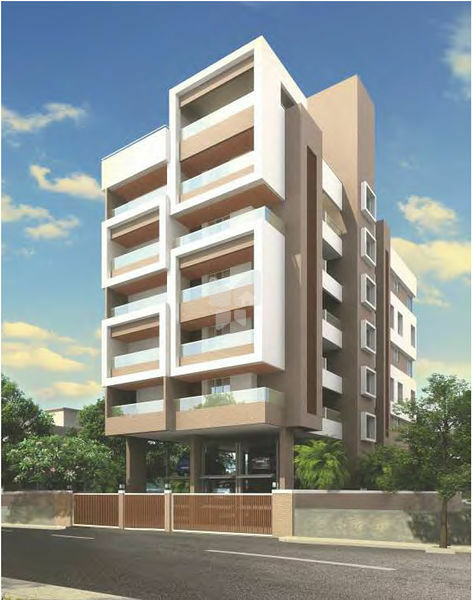 At Mugdhali, leave behind the chaos as you enter inside our 2,3 & 4 BHK quiet homes in Pandurang Colony, Pune. The 12 meter wide road in front of our 5 storey bliss separates us from the crowded life outside. Eye catching elevation and gracefully designed entrance lobbies. External wall: 6" thick clay bricks/fly ash bricks/Siporex blocks. Internal wall: 6”/4" thick clay bricks/fly ash bricks/Siporex blocks. External Wall: Double coat sand faced plaster. Internal Wall: Cement plastering with POP finish/Supermix wall putty. External: Durable Acrylic Ultima Paint. Internal: Oil Bond Distemper Paint. 600 mm x 600 mm Light coloured Vitrified Tiles in all rooms. Anti-skid ceramic flooring in washrooms. Decorative Paving Blocks for Drive way. Chequered tiles in covered parking floor. Main door with attractive door skin with all necessary fittings. Water proof flush doors for toilets with granite / marble frames. Kitchen Platform: 8 feet length Black Granite with S.S. Sink. Glazed/Ceramic dado tiles upto lintel level. Jaquar or equivalent C. P. Fittings. Provision for exhaust fan and water purifier. Jaquar or equivalent Chromium Plated fittings. Dado tiles up to lintel level. Provision for electric geyser and exhaust fan in all bath rooms. Concealed wiring with modular switchesof Anchor Roma/Legrand or equivalent. Branded MCB and ELCB(Earth Leakage Circuit Breaker). Electrical work with copper wiring ofPolycab or equivalent. Two way light and fan switches in all bedrooms. T.V. and Telephone points in living and master bedroom.